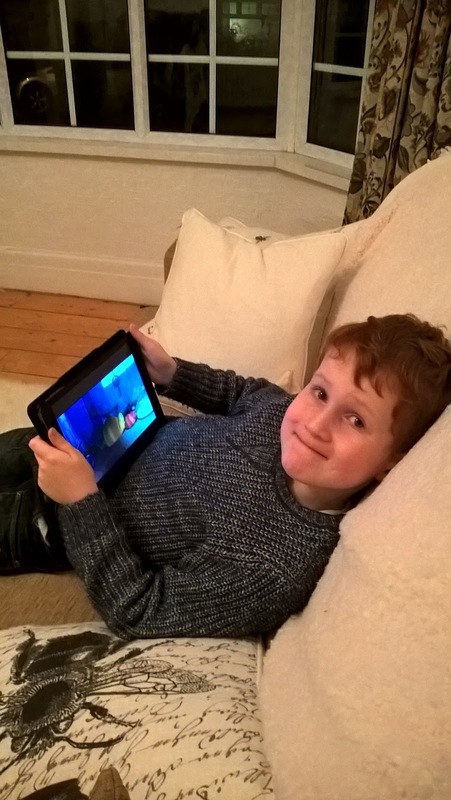 There’s no denying that iPads and tablets are a permanent fixture of the parenting landscape. They can be a brilliant resource for education and hands-on learning. Equally, and more contentiously, they are often used as a babysitter and a distraction when in restaurants and doctors’ waiting rooms. I’m sure that iPads, tablets and gadgets, in general, will feature heavily on many parents’ shopping lists this Christmas, but how many of us think about our children’s privacy and the risks they may be unwittingly exposed to? Our two have had tablets for several years and we soon learned that children today are incredibly IT-savvy. Very quickly apps were discovered and played with and we found that Caitlin (aged about 4) was already trying to memorise passwords (with some success, I might add). Both adored YouTube videos of Kinder Egg openings and the unveiling of the latest Marvel Superhero merchandise. Then there are many, many videos of people popping balloons. Everyone needs a hobby, I suppose. There have been one or two occasions though where we’ve caught them watching stuff like Annoying Orange and a Buzz Lightyear video in which the language was definitely inappropriate. And it’s not surprising. In the 2015 study, the GPEN report on children’s privacy online, the results showed that nearly 60% of websites and apps redirect children away from the site or app, meaning there is a greater chance of discovering inappropriate content. It also found that only 22% tailored content specifically for children. So I was pleased when we were recently invited to review KidzInMind which is described as “a safe digital playground filled with fun and educational apps for the growing minds of little children”. The KidzInMind app offers a safe ‘digital playground’ for kids to play in. Available on iOS and Android (sadly not on Windows), KidzInMind claims to offers parents peace of mind with age appropriate and approved educational apps, videos and games for kids on smartphones and tablets. There are no adverts, no hidden payments and parental device controls are included. Kidzinmind is an app containing apps which have all been vetted for the educational suitability and safety. The recommended age range is 1-6. Parents are able to control what the kids see and the kids are given access to a playground of icons such as a book, an easel and so forth. Clicking on each of these take the child to a range of themed apps. Every app has been selected and approved to meet strict criteria. ● Safe and secure – no inappropriate language, no advertising, no hidden payments and a baby safe mode. ● Educational – all apps have been evaluated to ensure that they are engaging, educational and appropriate to the child’s stage of learning. ● Time alert play – you can relax in the knowledge that your child is learning within a safe and secure environment and control the amount of play time your child is allowed with the parental control timer. ● Restrict activity – you can use the parental control feature to specify exactly what your kids can do whilst using the KidzInMind e.g. no internet or other app access. The games are varied in their age appeal. There are some really sweet simple games where the child can create their own aquarium. Ieuan (6 last June) really loved the camera templates where you can take a selfie and superimpose funny glasses or a Santa hat on to your photo. There are also some age-appropriate videos, including one of our favourites – Larva (you may have caught it on CITV). 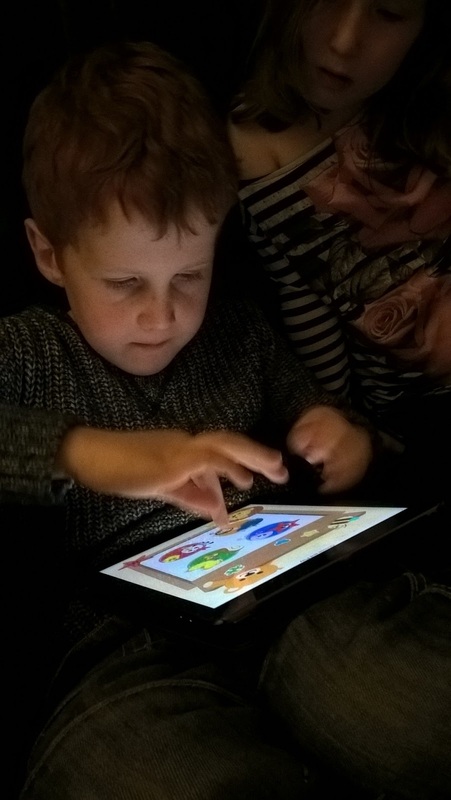 I think 6 is definitely the top age for this app and it was interesting to see that, despite the relative sophistication of some of the games Ieuan plays, for example, Spiderman, he was just as happy with a simpler, less noisy, less intrusive game where he could fully understand what he was doing. I would definitely feel confident letting the kids play with KidzInMind without having to dash back and forth checking that they aren’t watching something adult rated. I really liked the handy parental control features and there is a good choice of games to play. KidzInMind say that the value of the educational games and apps is well over £50. The types of app you can expect (all fully vetted) are nutritional, (in collaboration with Parma University), handwriting and brushing your teeth correctly. In fact, KidzInMind has worked closely with experts in paediatrics, nutrition and education to curate a unique selection of the best apps for children. Ieuan says “It’s amazing. My favourite is Dino Lab and I love watching Larva” – he’s currently assembling the ingredients to make a cake via the Families 2 app. Prior to that, he reassembled a dinosaur skeleton in an online jigsaw. KidzInMind is more than just an app too. The KidzInMind blog, the Facebook page, the Twitter profile and the YouTube channel offer parents access to a wealth of information about different services or products for their children and discussions with other mums and dads. KidzInMind is available to download on Android from Google Play and iOS from the App Store. The app is subscription-based and after the first week, which is free, KidzInMind is priced at 79p per month for limited inbuilt apps and features. Parents can pay £2.99 per month for unlimited access to the full app, video and game catalogue and all the parental safety controls. I think this very reasonably priced, given the quality of the apps contained within KidzInMind and it is certainly worth it for the peace of mind and educational content. For more information about KidzInMind please visit www.kidzinmind.com/uk. "7 Signs You Need To Replace Your Electric Blanket"